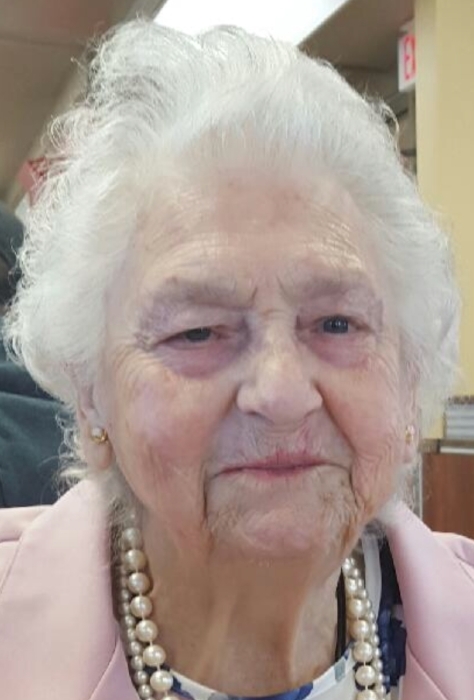 Mildred Jackson, 94, of Hoopeston, passed away at 9:20 a.m. Thursday, November 15, 2018, at Heritage Health, in Hoopeston. She was born on April 10, 1924, in Lebanon, Kentucky, the daughter of Charlie and Rose (Farmer) Riley. She married Albert Jackson on December 7, 1940, in Lebanon, Kentucky. He preceded her in death on November 17, 2012. She is survived by her children, Joseph (Glenda) Jackson of Russellville, Ind., Carolyn (Steve) Gigax of Patricksburg, Ind., Dorothy Denny of Greencastle, Ind., Linda (Byron) Yanders of Hoopeston, Mildred (Scott) Hoss of Rocky Ford, Colo., Gerald (Amy) Jackson of Bismarck, Brenda (Tony) Perryman of Rabbit, Ky., Kenneth Jackson of Hoopeston and Margaret Ward of Rocky Ford, Colorado; 47 grandchildren; 56 great-grandchildren; 15 great-great-grandchildren, seven great-great-great-grandchildren; and one sister- Shara (Paul) Cox of Lebanon, Kentucky. She was preceded in death by her parents, husband, two daughters, three brothers and six sisters. A Celebration of Mildred Jackson’s Life will be held at 11:00 a.m. Saturday, November 24, 2018, at Blurton Funeral Home, in Hoopeston. Visitation will be from 10:00 a.m. to 11:00 a.m. Saturday, at the funeral home. She will be laid to rest following the services in Floral Hill Cemetery. Memorials may be made to the American Cancer Society. The family has entrusted the Blurton Funeral Home to assist them in honoring Mrs. Jackson’s life. Memories or photos may be shared with the family on her everlasting memorial page at: www.BlurtonFuneralHomes.com.